Easter Fun and Bluebells 2019 (NB We are open on Good Friday but no Easter Egg Hunts until Easter Sunday)! 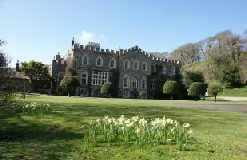 Come and join the fun in the beautiful grounds and gardens of Hartland Abbey over Easter. This year Easter is so late that it should coincide with the best of our beautiful bluebells! Children will have a wonderful time searching all the woodland paths and walks for clues that will lead them to a hidden treasure trove of Easter Eggs. There will be traditional activities and games like Pin the Tail on the Bunny and easter egg decorating as well. 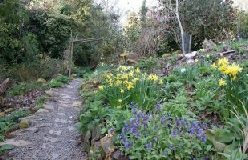 The bluebells and spring flowers should be looking wonderful, making this a special day out for adults and children alike. The house will be open from 2-5pm at an extra charge. 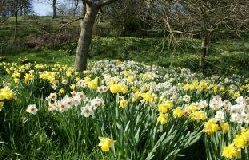 Adults £9 for grounds and gardens, All children over 2 (or under 2 if wanting to do Easter Egg Hunt) £5, Admission to house and gardens £12. Children £5.